The Z Series 3 SSD from Integral now features 128MB Mobile-DDR cache inside for increased performance. 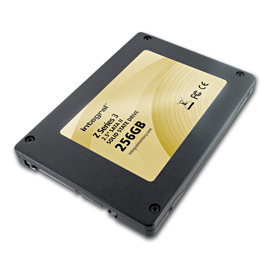 It is the ideal hard disk replacement when reliability and speed are the key factors. Boot and shut down your system faster, and enjoy more responsive programs. With no moving parts, zero noise and low power consumption, this is the ideal, cost effective upgrade for your laptop or desktop. Internal Z Series SSDs are suitable for improving performance of Netbooks, Laptops, Gaming Desktops, Workstation PCs and Set top boxes. If you're not sure that you need a Integral Z3 Series Solid State Drive why not check your machine on our online memory configurator which shows the right memory for over 100,000 computers, printers, cameras, routers, phones and tablets?